Toploader are coming to Accrington, and its FREE to watch! With over 2 million album sales, 4 Brit award nominations and a string of top 20 hits, Toploader are coming to the #AmazingAccrington Live! Music Festival, and everyone is invited! The British alternative rock band are celebrating their 20thanniversary with a UK tour. Toploader are diverting to Accrington, to fill the town centre with crowd pleasers such as ‘Dancing in the Moonlight’, ‘Achilles Heel’ and new tracks. 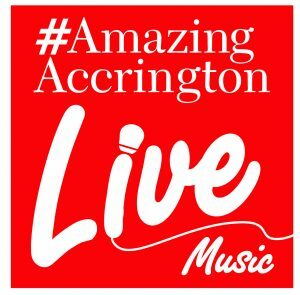 AmazingAccrington Live! Music Festival is on Saturday 4th May 11am-4pm. Alongside international stars Toploader, the stage will host local acts and entertainment suitable for people of all ages. The music festival has been made possible through the support of local business Langtec and Hyndburn Borough Council. “Langtec are really proud to be sponsoring #AmazingAccrington Live! for its second year. Not only are Toploader headlining, there will also be activities for children, plenty of great food and drink, local acts performing and entertainment throughout the day. Artists: Alex James Brierley, Ella Shaw, Claudia Thompson and Northern Wrath. The Performing Arts Academy showcasing their Greatest Show Medley, performed by children aged 4-11. Yogi Life will deliver an accessible, child friendly yoga workshop to promote mindfulness and calm. Plus, a fantastic selection of food and drink stalls will be available. Pop-Up Adventure Playground are the official charity for the event. Their stand will give children the opportunity to enjoy free play using recycled and reclaimed materials.